Cabbage is believed to have evolved from a wild form native to Europe, growing along the coast of the North Sea, the English Channel and northern Mediterranean. Theoprastus described cabbage in 350 BC and the Greeks cultivated it as early as 600 BC and they believed that cabbage was a gift from the gods. Pliny reported a soft-headed form in ancient Rome and the Saxons and Romans probably cultivated it and introduced it to the British Isles. The hardheaded types were only mentioned in the 9th century. The early Egyptians are said to have worshiped it. The plant was used for medicinal purposes to treat gout, stomach problems, deafness, headache and hangovers in the early days. Cabbage is now grown throughout the world. 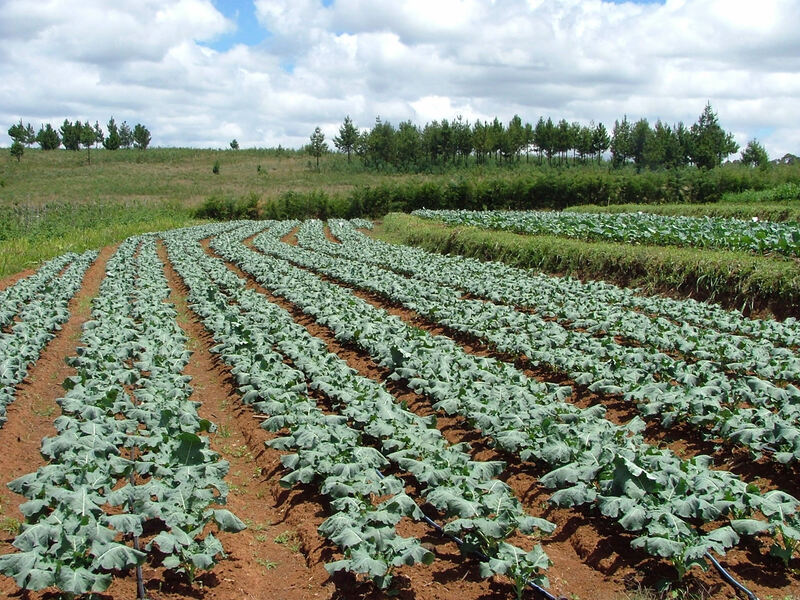 Cabbage is a popular vegetable throughout the world because of its adaptability to a wide range of climatic conditions and soil, ease of production and storage, and its food value. Cabbages have unbranched stems that remain less than 30 cm long. A rosette of sessile leaves arises as the growing point continues to form leaf primordial. The outer leaves are green in colour and the inner ones are white. As the plant grows, the leaves increase in number, forming a ball-shaped “head” in the centre of the plant. The head is basically a large vegetative terminal bud, formed by overlapping of numerous leaves developing over the growing point of its shortened stem.